Tanzania's people are as diverse as the land itself. There are more than 120 tribes, about a dozen of which form half the country's population. However, because no one ethnic group is large enough to dominate its fellows, this has resulted in an effective balance of power, which has meant that Tanzania has suffered much less from ethnic conflict than have her neighbours. The fact that Tanzania also adopted Swahili as the national language in 1963 has also unified the nation, 95% of whose people speak it. 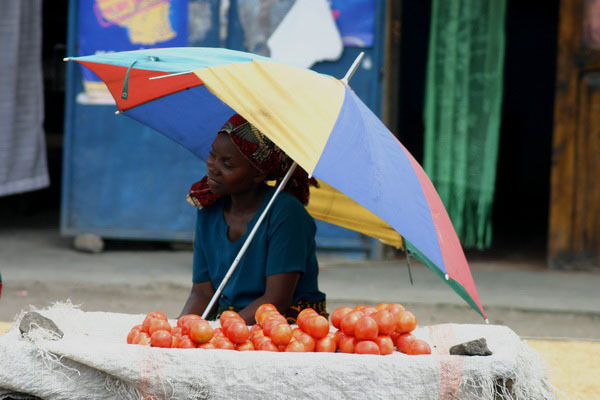 The majority of Tanzanians live and work in the rural areas where they are involved in agriculture. The major tribes are described below. The Maasai have long remained the ideal mental conceptualisation of the Western European idea of an African ‘noble savage'. Tall, elegant, handsome; walking with a gentle spring of the heel, seemingly proud and indifferent to all but the most necessary external influences . Dominating northern Tanzania and the area known as the Maasai Steppe, the Maasai are also the main residents of the Ngorongoro Conservation Area. 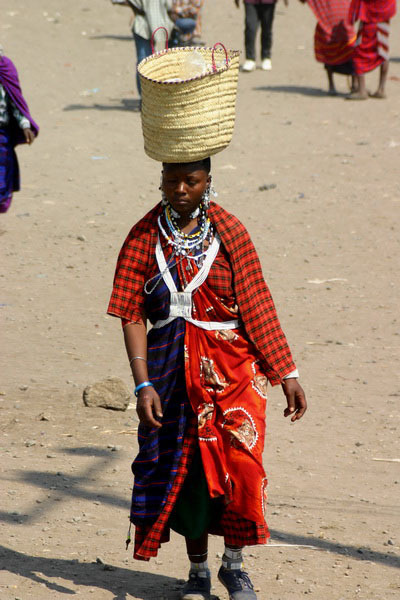 Perhaps the best known of Tanzania's tribes, the Nilo-Hamitic Maasai are a nomadic people whose style of life has remained essentially unchanged for centuries. The daily rhythm of life revolves around the constant quest for water and grazing for their cattle. Thought to have migrated to Tanzania from the lower valleys of the Nile, the Maasai are distinguished by their complex character, impeccable manners, impressive presence and almost mystical love of their cattle. The latter is based on the Maasai belief that the sky god, ‘Enkai ‘, was once at one with the earth. 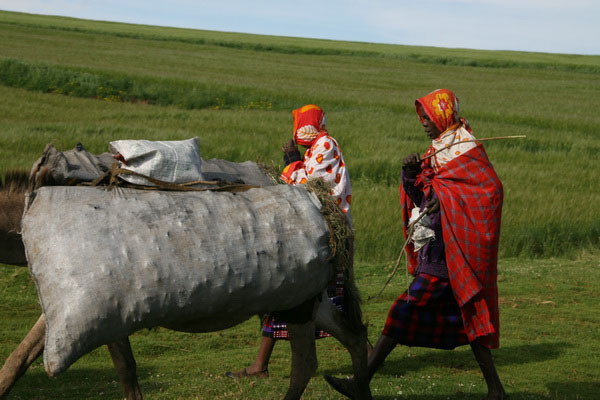 When the earth and the sky were separated, however, Enkai was forced to send all the world's cattle into the safekeeping of the Maasai where, as far as the Maasai are concerned, they have remained. Brave and ruthless warriors, the Maasai instilled terror in all who came up against them, most especially the early explorers. ‘Take a thousand men' advised the famous explorer Henry Stanley when speaking of the Maasai, ‘or write your will'. Today, cattle are still the central pivots of Maasai life and ‘I hope your cattle are well' is the most common form of Maasai greeting. 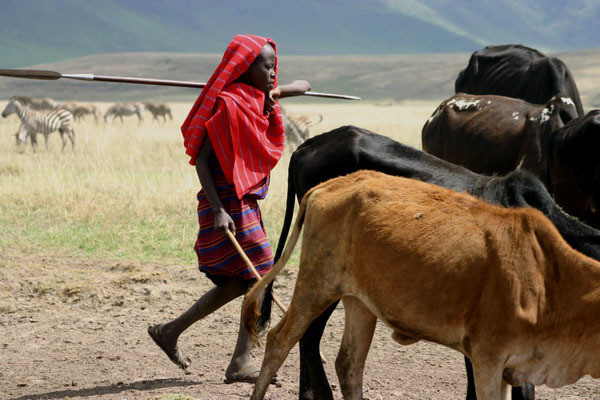 The milk and blood of their cattle also continue to be the preferred diet of the Maasai people, while the hides serve as mattresses, sandals, mats and clothing. Cattle also act as marriage bonds, while a complex system of cattle-fines maintains the social harmony of the group. Visually stunning, the Maasai warrior with his swathe of scarlet ‘Shuka' (blanket), beaded belt, dagger, intricately plaited hair and one-legged stance remains the most enduring icon of Kenyan tourism. That said, many a modern Maasai dons a suit for work, but come the weekend, and he'll be back in his beloved traditional dress. The Chagga people are the third-largest group in the country and inhabit the area to the north of the Maasai Steppe and on the slopes of Mount Kilimanjaro. A Bantu people, the Chagga farm the mountainsides and use water from the forests. They are noted for their enterprise and hard work, especially in the invention of a remarkable irrigation system that carries water up to 180 metres above the level of the river, enabling them to sustain the mbeke plant, which they use to brew local beer. One of the five major tribes of Tanzania, the Makonde are best known for their intricate woodcarvings. Located on the Makonde Plateau they have traditionally been somewhat isolated and thus remained largely unaffected by colonial and postcolonial development. 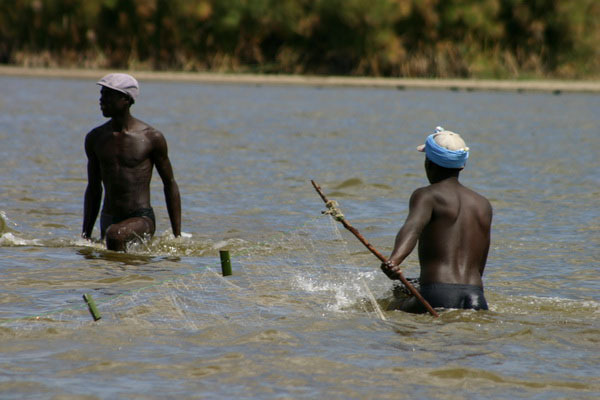 The Makonde have a reputation for cultural conservatism and a desire to defend both their territory and their way of life. The Sukuma, meaning ‘people to the north', are Tanzania's largest tribal group and live in the north-western part of the country, just south of Lake Victoria. Though isolated from missionary influences until well into the twentieth century, in recent decades they have prospered as a result of growing cotton and herding cattle. The Sukuma are renowned for maintaining strong cooperative groups, which harvest the cotton, process it and sell the final product. The Haya live on the shores of Lake Victoria using its rich soils to grow coffee. Today they grow both coffee and tea and process it for export. The Haya women pride themselves on their ability as craftswomen and as hairdressers. The Ha live along the Burundi border between Lake Victoria and Lake Tanganyika in a land of forest and bush that is infested with tsetse. Primarily occupied with tending their long-horn cattle, the Ha retain a deep belief in the mystical and continue to tend shrines to the family ancestors, which are set up outside their homes. Well known for their dances and celebrations, the Ha are famous for their music which is made using drums and gourds and the rhythm of bare feet. 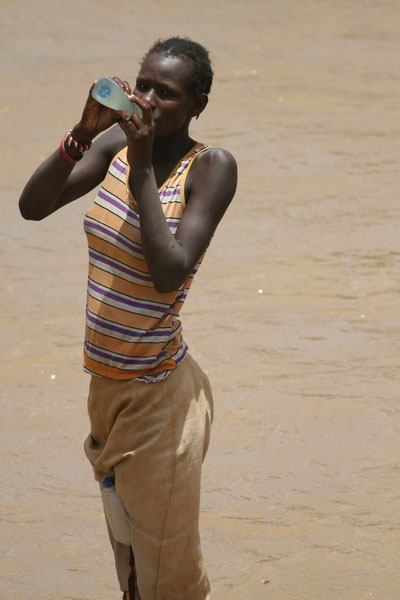 The Iraqw are of Cushitic origin and live in the central highlands of Mbulu. Known for their statuesque and immobile posture and sharply defined features, they are a withdrawn people who grow their own food and tend their cattle - selling off crops or animals only when it is strictly necessary. Their name means ‘people of the moon', and they live in the west of the country near the Tabora area. Famed as the most powerful tribe in the interior of Tanzania during the colonial era, the Nyamzwezi were strong enough and rich enough to attack the occupying Arabs in 1880. Latter years have, however, seen a decline in their fortunes, largely due to the fact that their lands are infested with Tsetse fly, and short on both good soil and water. Roughly one per cent of the population is non-African: Europeans, Asians and Arabs. The majority of non-Africans are Shirazi, a mixture of Arab and the local population, and are well-established on the coastal islands of Zanzibar, Pemba and Mafia.